Innova has just announced a colossal release. Their first speed 14 distance driver, the Colossus, will be shipped to retailers on January 18th. The Innova Colossus will be initially released in GStar plastic. A limited number of first run stamped discs are available now for pre-order. Each retailer is only allowed 25 proto star discs, and there will likely be very few available after pre-order sales conclude. Infinite Discs is scheduled to receive and ship out the Colossus to those who pre-order on January 20th. Summer is our biggest time of year for disc sales. During the third quarter (July – September), we typically see less new releases come out than we do during the spring months. The Q3 sales report gives us a good grasp on what the top disc golf discs really are based on sales data. From our third quarter sales, it’s clear that Innova is still the #1 manufacturer for disc sales. Trilogy and MVP continue to gain market share and grow in popularity while Discraft and Prodigy appear to be trending towards less relevant. If you’re looking for a new disc to buy, but aren’t sure where to start, you may want to consider these. There is a reason disc golfers all around the world keep buying these top rated discs. There weren’t a lot of changes in the top selling discs of the third quarter compared with the second quarter. 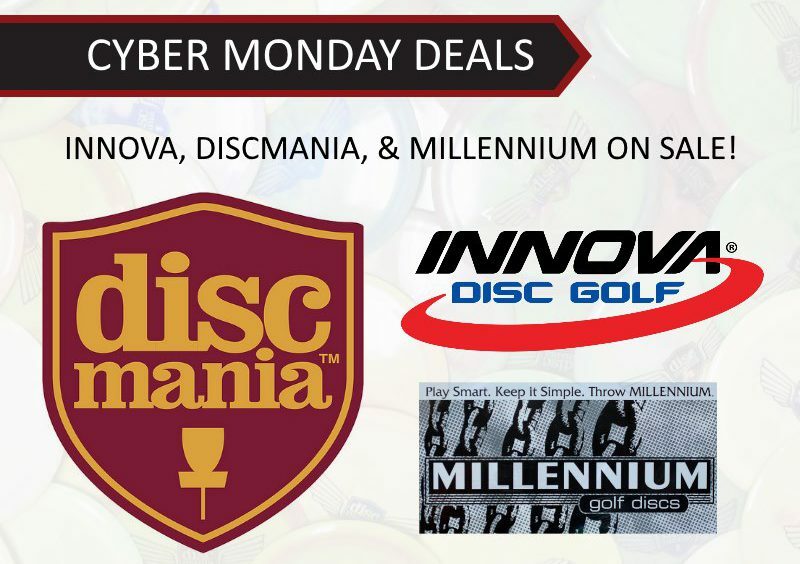 The Innova Destroyer was still the top selling disc followed by the Discraft Buzzz, Gateway Wizard, and Innova TeeBird. For Distance drivers, there is almost no change between the top selling discs from the second quarter. Call it the Paul McBeth effect, as Innova flat out dominates the distance driver market with seven of the top ten selling drivers. Innova Champion discs also has a strong presence in in fairway driver sales. The TeeBird is still the #1 selling driver. While most of the top selling fairway drivers remain the same, the MVP Volt dropped from #3 to #6 during the third quarter. The Discmania FD, Westside Hatchet, and Innova Eagle made our top 10 replacing the DD Felon, Vibram Trak, Axiom Crave, and Latitude 64 Trident. The Discraft Buzzz remains the top selling midrange disc, and is the only midrange that made the top 10 overall. While the Comet cracked the top 10, it is actually only our 73rd top selling disc. Entering the top 10 this quarter are the MVP Axis and Latitude 64 Fuse — replacing the Dynamic Discs Justice and Discraft Buzzz SS. While Distance Drivers is the top selling category overall, Putt and approach discs are second. The Wizard, Judge, and Pure are all top ten selling discs with the Innova Colt not far behind. MVP/Axiom putters were not quite as popular this quarter as the Envy and Atom both dropped a few spots compared with Q2. 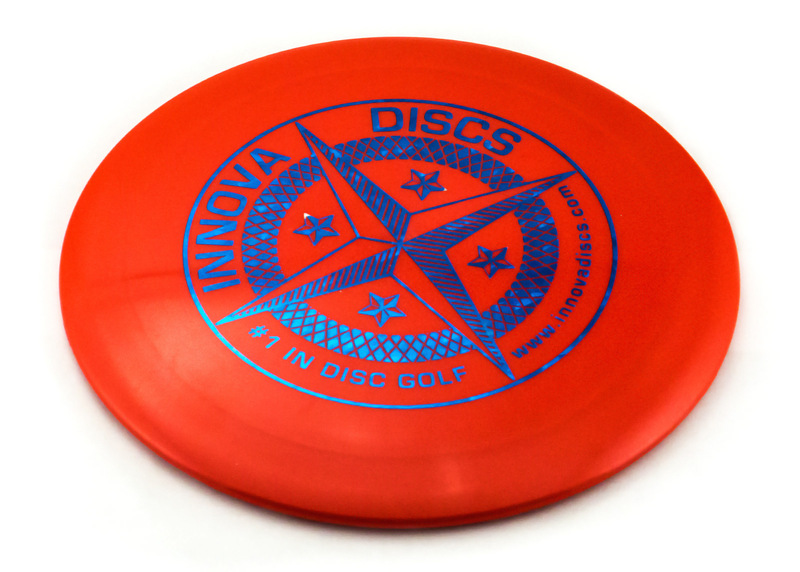 A new disc, the Innova Colt, entered the top 10 at number four as a hot new item. It will be interesting to see if the Colt remains a top selling putter, or if it made the top 10 because it is new. The KC Aviar filled in the #9 spot replacing the Prodigy PA-3. When it comes to the most popular disc plastics, to no surprise, Innova dominates taking the top three spots. It certainly helps that the Star Destroyer and Star TeeBird are two of our most popular selling discs. Star plastic actually jumped Champion as the top selling disc plastic type for the third quarter. While several of the MVP discs dropped in rankings this quarter, overall Neutron plastic rose a spot from 5 to 4 while Latitude 64 Opto dropped two spots. Innova GStar and Discraft Elite Z swapped spots in the 7th and 8th positions. It is time to look back on the discs that were released in 2013. In our State of Disc Golf survey, we asked you which of these discs were your favorites. We have looked over the results, and with the Winter Olympics taking place in Sochi, It seems fitting to award the top discs with gold, silver and bronze medals. So without further ado, let the games begin! There were nine putters released in 2013. While this number is impressive there were fewer putters released than any other type of disc. Prodigy alone had 1/3 of the new putters released. This disc made an impressive late run to take the silver medal after being released very late in the year. The Nova was Innova Discs’ second release to utilize a two plastic blend known as the overmold. The Nova is a very reliable straight flying disc. The outer rim is made of a softer gummy plastic to grip the chains. Several great reviews of this disc can be found here: Innova Nova Reviews. In their first year Prodigy released three putters and the PA-4 won as the most popular. The PA-4 is the most understable of these putters. Many of our reviewers credited this putter as a fantastic driving putter as well. One reviewer said, “The PA-4 is an excellent approach and driving putter. It can be thrown flat and expected to turn over for a good portion of it’s flight. It is a hyzer-flipping machine and has glide galore.” One interesting note, is the other two putters released by Prodigy took fourth and fifth place, and the total votes received by Prodigy exceeded the votes received by the Warden. It is safe to say Prodigy made a big splash in the world of Putters this year. The field was dense in the Midrange category this year with twenty new releases, each of these discs vying for a spot in the bag as a consistent flyer which feels great in the hand, flies with ease, and has beautiful control. Dynamic Discs Can you handle the Truth? The Truth is a very “true” flying mid-range. It will hold its line very well with minimal fade at the end of the flight. The Truth is also considered by many to be a great anhyzer disc. One review written by Jack reads,“Just got my max weight Truth and am in love. This is the disc I’ve been waiting for to fill my straight flying midrange gap. The Truth can handle some power and really will hold just about any line.” The Truth has made a great splash in 2013 and was very deserving of the Silver Medal. The Atlas won a very close race for the Bronze medal followed by the MVP Tangent and Innova Mako3. The release of the Atlas also received a lot of attention as it was the first disc Innova released using a two plastic blend. The response to this disc has been a resounding, “It flies straight.” Also just like the Truth, the Atlas has a very minimal fade. We have received many reviews already on this disc, and they can all be read at Innova Atlas Reviews . Competition for the best Fairway Driver is not as fierce as the competition for best midrange or best driver, but it’s still fierce. Fourteen discs have been released which we’ve labeled Fairway Drivers, with a full set from Prodigy, and other pairs of discs from a variety of manufacturers. 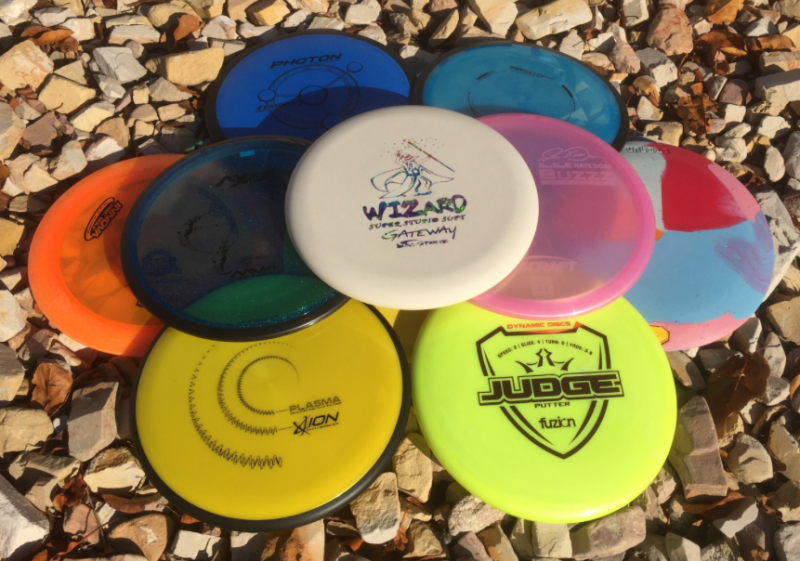 Westside Discs is a smaller but growing brand that has been establishing a strong presence with the rest of the discs manufactured by Latitude 64. Westside has a reputation for reliability and quality, so we were very excited to see them make the podium and take the silver medal. The Underworld is an understable driver with very minimal low speed fade. Our reviewers have called this disc a great disc for beginners. Here is the link to read all the reviews: Westside Underworld Reviews. We look forward to the rest of the Westside batch being released in just a few months. MVP is another up and rising disc golf manufacturer that has already made a great name for itself. They burst on to the scene with their revolutionary overmold technique utilizing GYRO technology which affects the aerodynamics and flight of their discs. The Shock is more stable than MVP’s other fairway driver the Volt, making it a great disc for more powerful throwers who found the Volt too flippy. James wrote, “The shock is a great disc for mid-long drives with a strong fade/flare at the end. If I ever need to take a sharp corner around a fairway with some type of height restriction the Shock is the way to go. A nice low hyzer thrown with a lot of snap will skip up and around a 90 degree corner every time. I have yet to throw a disc with a more consistent flare at the end of both long/short shots and am thoroughly impressed with the shock overall.” As with Westside, we are excited to see what the future holds for MVP. Especially after their announcement this week that they will soon release their first distance driver. Congratulations to MVP for the bronze! The competition for the top driver is arguably the most fierce. Innova & Discraft each had one release, while the Scandinavian plastic & Prodigy had a majority of the others. Vibram finished the Lace trio with the understable and overstable versions of their widely demanded and popular driver. And Innova receives their second gold medal! With the release of the Tern, Innova again proved they are a powerhouse among disc manufacturers, and they don’t plan on changing that any time soon. The Tern is a high speed understable distance driver. This makes it a top disc for intermediate players seeking for max distance, but have found other high speed molds too overstable to control. One review by RJ had the profound statement, “You could build your game around this thing.” We have received many reviews on the Tern and they can all be found at https://infinitediscs.com/innova-tern/ . With the release of the Escape, Dynamic Discs showed that they aren’t just to be known for their excellent putters. The response to the Escape has been positive across the board. It is a very stable distance driver. A pattern seen in many of our reviews is the use of this disc as a great tunnel shot disc. The Escape holds its line very well with a strong fade at the very end. 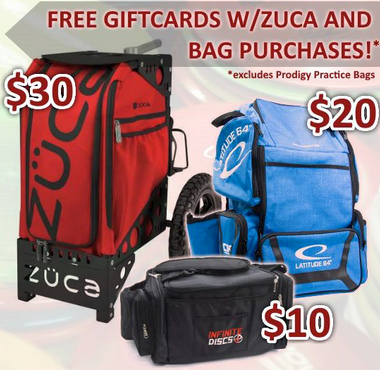 This predictability has helped the Escape to find a niche in many disc golfers’ game. A very deserving silver medal for the Folks at Dynamic Discs! What do you think? Did your favorite disc make the podium? Who will take home the hardware for their releases this year? Feel free to let us know what your predictions are for 2014, as well as what you would like to see us do/change for next years survey and results! Innova Discs has launched their newest plastic, GStar to retailers throughout the country. The G is for “grippy”. This new plastic is similar flexibility to Discraft’s ESP, but often has the marbling effect of that you’ll find in Latitude 64’s premium Gold Line plastic. Until recently, this plastic had only been available in the Innova Factory Store. It is now available through retailers to price and sell at their own discretion. The MSRP for GStar is $17.99, which is where you’ll most commonly find these discs priced. However, we do things a little differently, we’re moving GStar out the door for $14.47. With the GStar plastic, how many gaps are left in the Innova lineup that still need to be filled? It will be interesting to see what Innova does next! Make the holidays truly special this year with Innova Christmas edition golf discs. Celebrate the holidays for years to come with these special commemorative discs. 2013 will be the year your family cherishes forever as they savor the memory of giant Christmas snowflakes and little tiny disc golfers making snow angels. Holiday stamped golf discs are perfect for the Mrs. as they make great wall decorations and tree ornaments (on very large trees). If you don’t have a home, or Christmas tree, these discs also work well for playing rounds of disc golf. Finally the gift that everyone can enjoy. Okay, with the cheese aside, this year’s holiday stamped discs are featured on some pretty sick new discs; the all new Nova and the new Atlas with a clear Champion flight plate. These limited edition discs are now available for pre-order. Order yours today. Christmas edition discs will ship December 6-7 and arrive just in time for the holidays!